Two days ago, when people first noticed that some closed national parks were, confusingly, open for “1st amendment activities” only, we jokingly suggested that someone in D.C. should grab a menorah and test the limits of this policy — the first amendment, after all, guarantees the “free exercise” of religion as well as freedom of speech. Earlier today, Hannah Goldstein, a heroic 29-year-old rabbi at D.C.’s Temple Sinai, heeded that call. With a dreidel. 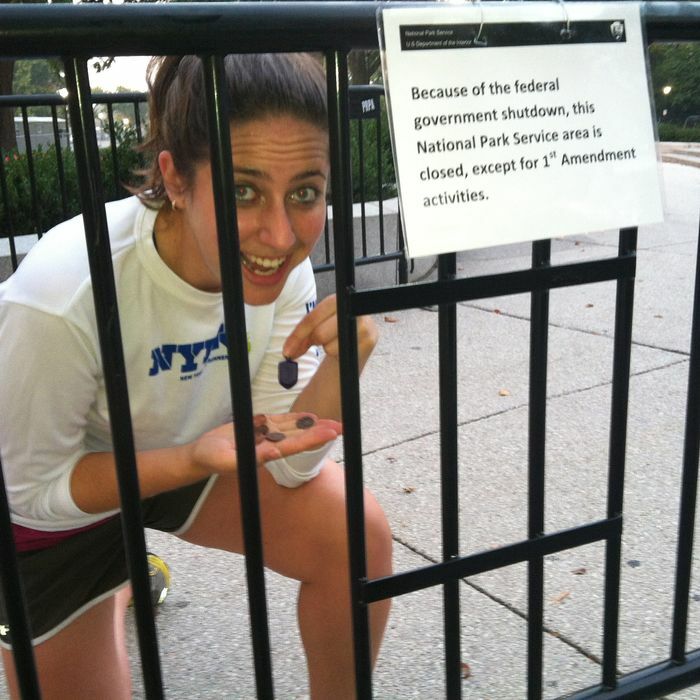 Taking a break during her morning run, Goldstein entered a park near the William Tecumseh Sherman monument behind the Treasury Building, whipped out a small plastic dreidel and a few coins, and freely exercised her religion. Five minutes later, the experiment was complete. 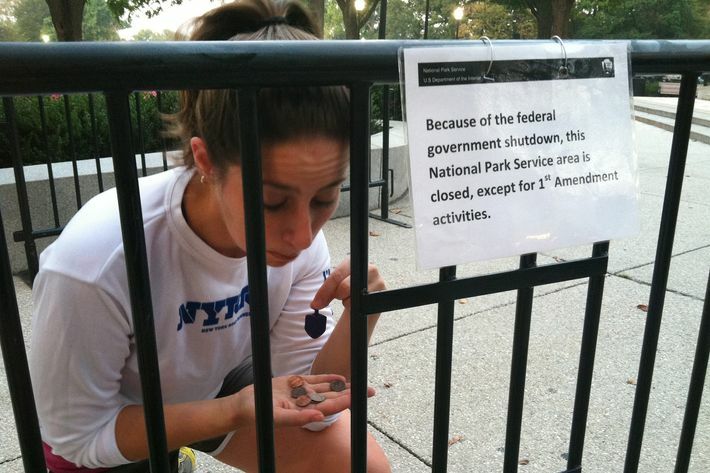 However, at the same time, Goldstein admits that “there were a lot of other runners who were engaged in non-first-amendment ventures in the park and security did not seem very alarmed.” So maybe nobody cares.